Gorilla Dumpster Bag – an innovation in the dumpster industry – won the 2015 Idea Challenge Grand prize of $5,000 towards reimbursable business expenses. Steve Faacks and Chris Hansen presented with the other five finalists in the Idea Challenge earlier today in front of a panel of judges. Aunt K’s Natural Healing Powders by Kay Widule: FDA approved, all-natural therapeutic powder for the treatment of various skin conditions including diaper rash and insect bites. Gorilla Dumpster Bag by Steve Faacks and Chris Hansen: the biggest, toughest, strongest dumpster bag anywhere in the U.S. – designed and engineered right here in Western Wisconsin. TenFour Team Trucking by Jonathan Summerford, Jordan Campbell, Justin Vajko, and Andy Albarado: an app that enables truckers to pick a co-rider based on specific traits to increase productivity during long-ride hauls. Wave Stability Bar by Adam Shilts: a new and innovative technology in exercise that will improve the quality of life of everyone from beginners to well-seasoned athletes. XanScan by Nick Marzofka: Captures and catalogues physical collections in 3D, allowing museums and cities to preserve and share history digitally around the world. 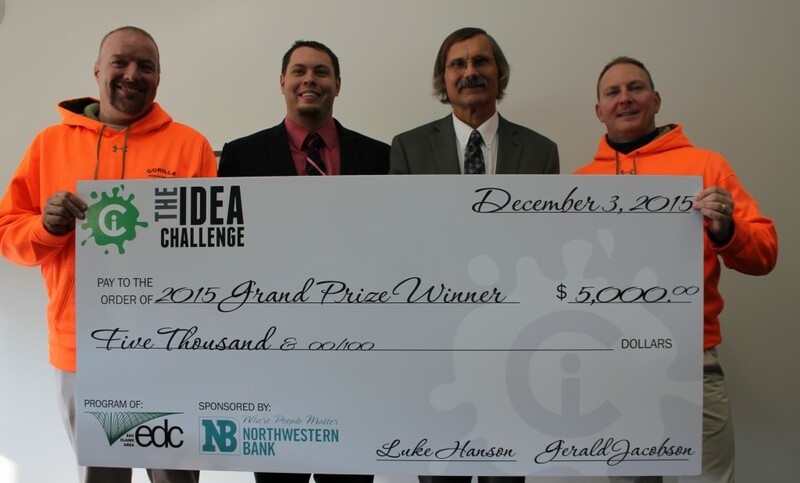 This year’s Idea Challenge applications were very high quality – making it difficult for the Idea Challenge Partners. 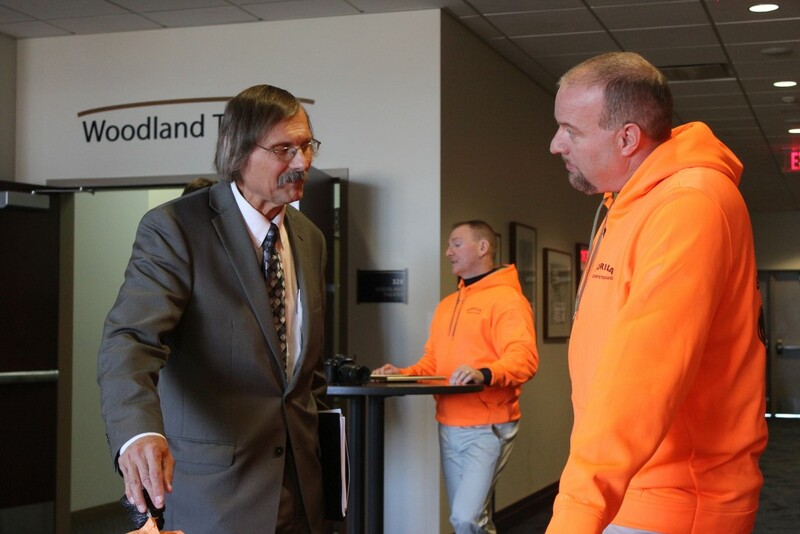 The Eau Claire Area EDC continues to work directly with all the applications that have market viability to assist them in advancing their ideas. Learning to be open and honest about our business – having a difference set of eyes to look at how we do things and can improve (was the most valuable thing gained). Ideas submitted to The Idea Challenge by individuals and companies are reviewed by a group of technical assistance providers, called The Idea Challenge Partners, to help determine if it is a feasible concept. Any idea that has potential will be given individual attention to help advance it to the marketplace. The top five ideas submitted are eligible to win money and additional business support. These awards are made possible through a generous sponsorship by Northwestern Bank. All ideas remain property of the applicant, unless otherwise agreed upon by all parties.